Former Whipping Boy bassist Myles McDonnell resurfaces with an outfit at odds with the new wave of brash Irish bands. 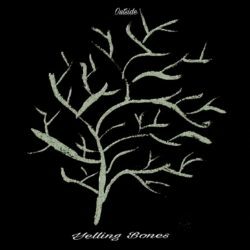 Yelling Bones are a band more concerned with mortality than immortality. That they are largely a studio project is telling. Outside is full of meticulously crafted soundscapes that conjure up Sigur Ros and Spirtualized. These are inward-looking songs that widen and contract at will, from the soaring Outside The Window to the claustrophobic In The Moment. There are times when singer Gerry McGovern can tend to reach for the obvious rhyme – the lyrical punches of The Loner are seen long before they land – but the band’s musical turns are rarely as expected. A rewarding debut.